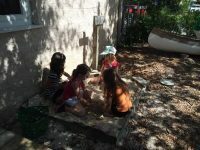 We started the outdoor classroom project by getting the community involved. 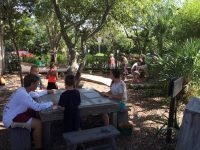 Volunteers and local students helped clear the area, build most of the items and decorate the outdoor classroom with stepping stones and wind chimes made of local, natural materials such as shells, pinecones, and palm boots. 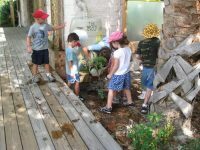 As the area was cleared, safe, native plants were left in place and the garden was planted with native plants also. Volunteers also helped to cut various sizes of tree cookies and tree blocks out of local trees that were damaged. The space is small, but well bordered and beautiful. 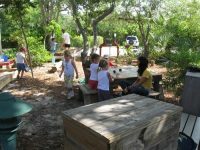 In addition to regular use, the area is used for summer camps and story time each Saturday. The general public is drawn into the space by its proximity right next to the Entry Pavilion. 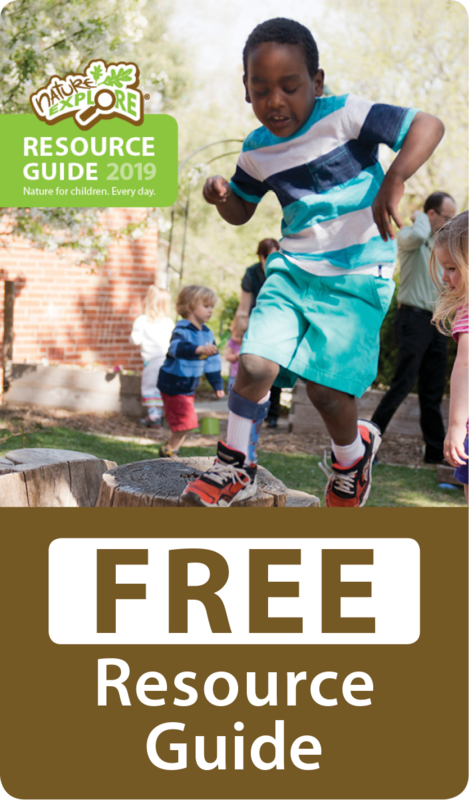 An activity book was created for the nature center that prompts children and their families to explore various sections of the campus with goals set for each section. 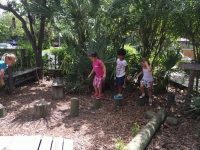 One of the family activities is called the Nature Passport, which brings children and families into the area to learn, play and imagine. 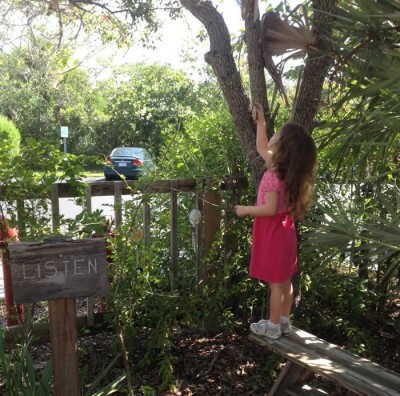 Signs are made from recycled wood and lumber as is nearly everything else within the space. 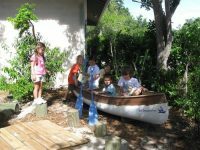 A wooden canoe was donated along with a rain barrel, tiles for the table, water cans and sand box items. The rain barrel catches rain, explains the water cycle and also makes watering plants very easy. A “Read Me” kiosk contains general information, suggested activities and a list of programs offered. The space is used by so many, especially by families who enjoy picnics in the space and have holiday portraits taken here.